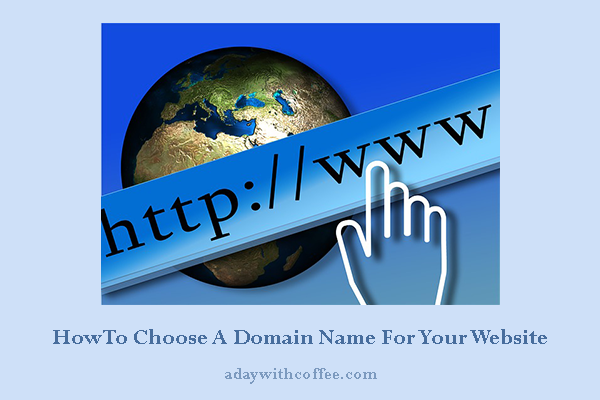 Choose a domain name for your website with these four steps. After you have been working on a few task before you get your website, I guess you have a strong idea of what your website and online business will be about. 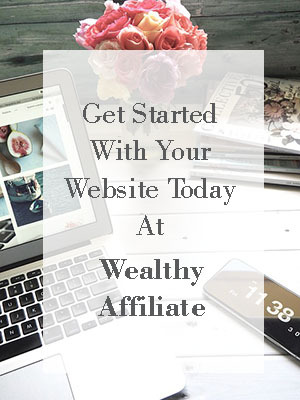 If this is your first time on my website and you’re thinking on getting a brand new website to make money on the internet, I suggest you read these articles first. One of the most important moments for your business and your website is the moment when you come up with its name. You will be working hard to build up a strong business where you can make a full income, choosing the name for it is as important as the business itself. You need to choose a name that is short, catchy, memorable and easy to remember. A domain name is the online address for your website (blog) or business. It appears in the URL, this means, when people type a name to find a blog or website on the internet. When you choose the right name it will help people and more important your client to find you, it needs to give a meaning to them about what your business is about, and easy to remember so they can find you and come back for more. Step 1. Brainstorm and get the name for your website. Write down on a paper all your ideas for your website, everything you have in your mind for your online business, your strong point, and what you love more to do and talk about. Once you have your list, start making a new list of names for your business, it doesn’t matter some names look silly or with no meaning, write down all of them. Take all the time you need to do this step, once you finish to write down this list of names, it’s time to go to step 2. Step 2. Find the name or domain for your business. It’s time to keep working on the list you made with all the names you thought for your business, let’s narrow it down. Highlight all the names you find have a meaning, all those names that you think will give your client an easy way to find you and to follow you. Check that the name you have for your business is easy to read and when you read it, and it won’t have another meaning. Don’t add your website name any punctuations or numbers like: cooking-for2.com, as people will not remember it easily. Step 3, Pick an extension for your website name. You will need to verify if your website name + extension is free to buy, if it’s not, you can try the next on your list. One thought here that will help you on your business is, if your website name + .com is already taken take some time to go and check that website, if it’s already a website well established with a strong business, take your time how hard will be for you to work on that name + .org or that name + .net to compete with that website. If you feel that you’ll need to work really hard on it, I will recommend you to pick another name for your website. It’s always better to find a name that is .com and free to get. Step 4, is your website name strong enough to be a business in a long term? You need to think on your website as a business where you will be working on a long term, is the name strong enough for it? You will need to check also if your website name is already taken on Social Media, take your time to check on Facebook, Twitter, Pinterest. One final point here, when you want to start your online business with a website, and you work to get the right name for it, take a moment to check if the name is good enough to grow with you. Let’s say you will be talking about you and your pets (cats, by the way, cats make a great niche to work at) so you pick the name onewomanandacat.com or onemanandcat.com, but later you get a dog and the cat and the dog get along pretty well and you start talking about them on your website, it will be useful to take your time to think on your website a little more inclusive so you don’t miss any chances to grow later in time. Take your time to work on your website name, make your list, and narrow it, be sure your website is friendly to use and easy to remember and give a reason to your potential client to find you on the internet. Once you get the name you want for your website, check if it’s free to buy, if it isn’t check the second one on your list, you need to have a list with a few names for your website ready to be check. Take sometime to work on it, you will find the right name for your list if you follow these steps. If you want to read more about website building before you open your website you can get this book Website Building by Malcom E. Rockwood, he will share with you a wide information about everything you need to know about website 101, what are domains?, what is the big deal about blogs?, information about different web host, what are the best platforms, the numerous kinds of websites, and much more. You can get Website Building book on Amazon.ca, Kindle Edition 0.00 dollars! Nice post. A lot of people say that the name of the address of your site shouldn’t matter. I disagree. Looking for the right name that resonates with your audience and what they are searching for online is very important. A domain should also reflect your goals as far as what information you intend to provide for your readers. I like what you said about how a domain reflects the website owner goals and also will provide information to our readers and clients. According to you, take as much time as necessary to create the domain name of your site. Another key aspect will be the extension to use the best will be .com if possible you can choose .org or .net. Finally, the domain name that we choose should be easy to remember and related to your business. Avoid numbers and other symbols. Thank you very much! Thanks so much for your visit and comment, you’re right when you said it’s better to avoid numbers and other symbols when we choose a website name, this could lead to problems for your client to find your website.